I'd never actually read Kate DiCamillo's book, The Miraculous Journey of Edward Tulane before encountering You From Another Star, and so I checked it out the library like a rather obsessive person and read it and took notes (I know, so nerdy) because I am always curious to see how Korean dramas incorporate elements of fairytales into their dramas. Whether it's Korean gumiho folklore, the Snow Queen, or the Little Mermaid, time and again we see fairytales pop up in Korean dramas (interestingly enough you also see a lot of Ramayan and Mahabharat retellings in Bollywood movies as well). Be warned, this contains major spoilers for the book. The Marvelous Journey of Edward Tulane is a lovely read. It's sad and happy in all the right places and it was really interesting reading it after watching the drama so far. I think that the writer must really love the story, and I am super curious to see how it might influence the ending of the drama. I can only really speculate about that though. The story of Edward Tulane's journey to find love has some really pithy commentaries on life and how we learn to experience love. At the beginning of the story, Edward just sits and does nothing and fails to recognize that the little girl who owns him, really loves him whole-heartedly, and in turn he does not return that love. She tells him she loves often. One night her grandmother tells her a story about a princess that didn't feel love and the story doesn't end very happily and she asks her grandmother why it didn't. She replies by saying, "How can a story end happily if there is no love?" (This gives me hope for a happy ending for our drama because we've got plenty of love!) I think this is a really true observation about life and stories - if there is no love, it cannot end happily. Happy endings though are not always without their tinge of sadness, heartbreak, and sadness. Edward has to go through a series of hardships before he learns to embrace emotions and love. And I think that our Do Min Joon is the same. I am not sure in what emotional state he came to earth as an alien, but he did seem good-hearted and tried to help people. It was only after he realized that things don't always work out positively, or in the way one wants that he began to shut himself off to feeling anything for those around him. He hadn't seemed to realize the happiness that comes through love despite the heartbreak. He was as cold and emotionless as the china rabbit, Edward Tulane. I think sometimes when we experience hard things in life, it is easy to shut ourselves off. It hurts to be rejected and to have our hearts and dreams and aspirations trampled on, but we cannot allow that to stop us from feeling and loving again. Another thing that I really liked from the story was how much Edward looked at the stars, and how much they meant to him. 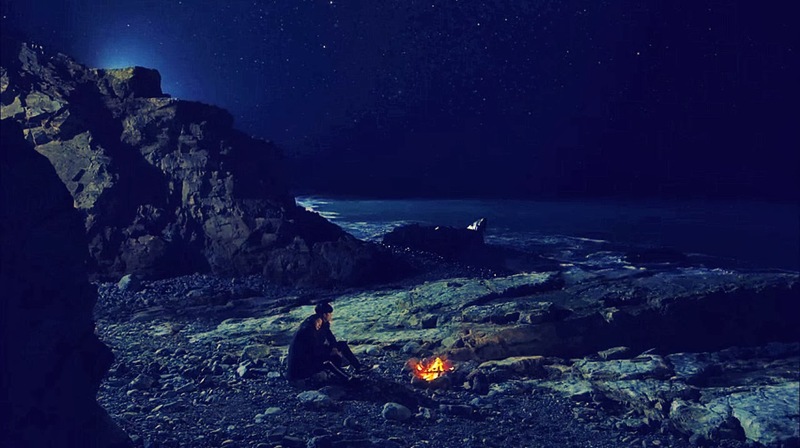 Our Do Min Joon also likes to look at the stars. At one point Edward is trapped on the ocean floor after being lost and flung overboard a ship. He hasn't really started to learn about experiencing emotions quite yet, but he's thinking about it. And the stars help him to start thinking about love and why it's important. He also starts to realize how being alive can be a really good thing. I would say that Do Min Joon didn't realize the worth of his life until he fell in love with Cheon Song Yi, and then realized how little time he has with her before he disappears. At one point Edward is with an older couple who love him and once he gets separated from them in the next stage of his journey, he starts realizing that he misses them terribly. It reminded me of the time that Do Min Joon sent the text to Cheon Song Yi that he missed her (when she was in hospital and he froze time to erase the text). I wonder sometimes if we need to be away from friends, family, and lovers to realize we miss them; we miss them how Edward "missed them terribly. He wanted to be with them. The rabbit wondered if that was love." I think it's interesting that Do Min Joon really starts to "tune in" and listen, quite literally, once Cheon Song Yi comes into his life. Right at the beginning of the drama, he listens to her outpouring of her heartache when people judge her and say hateful things. It's what moves him to be kinder to her (or to throw the student's cellphone to the ground when she's about to type something mean about Cheon Song Yi). This is all before he knows she's the doppelganger/reincarnation of the Seo Yi Hwa. At least I think it's before he knows. Anyway, it's when he starts to listen to Cheon Song Yi that he starts to open his heart to her and to his own heart starts to embrace the emotions he has kept locked up for so long. It also makes him vulnerable, which is the key to love. It is this vulnerableness that also opens us up into feelings of "hollowness and despair," not unlike those experienced by Edward when he's separated from Bull and Lucy. There have been plenty of moments on You From Another Star where either Do Min Joon or Cheon Song Yi have experienced that sort of pain. It's part and parcel of loving people, and unfortunately can't always be escaped. It is also at this point that Edward exclaims to the stars, "I have been loved." And they reply, "So?...What difference does that make when you are all alone now?" While Edward has no answer, Cheon Song Yi does. In that lovely scene in episode 19 on the island, she tells Do Min Joon that if she could turn back time, even knowing all the heartache, she would love him again. If we have been loved, it makes all the difference in the world. I think that's also why she can ask him to go (though I don't think he's going to go) because she has been loved by him, and he has been loved by her. There is something about love that often makes us be self-sacrificing, for both good and ill. And I think there is something to her wanting him to be alive somewhere, instead of the nihilistic Romeo and Juliet approach. At the next interval of the story, Edward belongs to a young girl named Sarah. She holds and embraces him fiercely and with great love. We see that so much in You From Another Star. When Cheon Song Yi and Do Min Joon decided to make the most of their remaining time together, they cling to each other fiercely. There's just something about the fierce and protective nature of love that makes us cling to those we love. It also makes for lots of skinship in the drama, which I am most definitely not going to complain about. Edward describes this fierce quality of love as, "He wanted to take care of her. He wanted to protect her. He wanted to do more for her." See friends, the writer really loves this book; it desribes Do Min Joon to a T. The book is also most definitely a lesson on love. At the next interval in Edward's journey, he gets broken. He is after all a china rabbit. Before he gets mended, he has a sort of out-of-body experience, and gets wings that will take him up to heaven where Sarah is. His friends however pull him back to earth, and he wakes up mended. 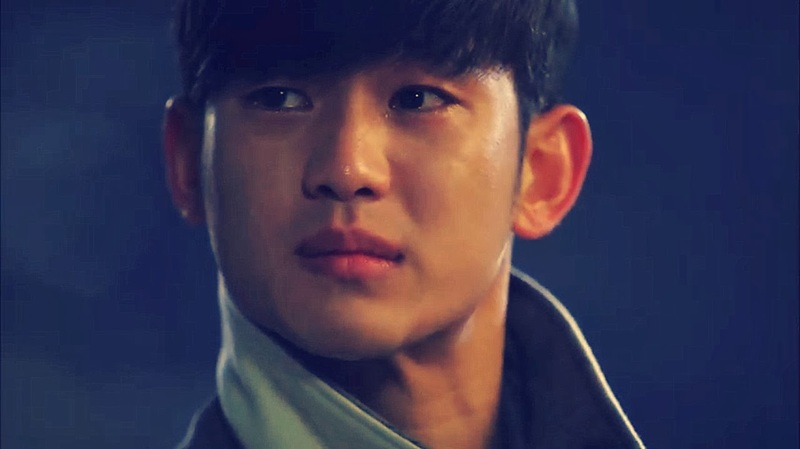 I think we are going to most definitely have some sort of "breaking down" part of Do Min Joon's journey. We have already seen him weaker than before, and this is in part because of his love that is keeping him at Cheon Song Yi's side. Right before Edward gets smashed, he expresses how he has learned to love. And that "it's a terrible thing. I'm broken. My heart is broken." I am curious to see how or if Do Min Joon's breakdown will be healed by love, and whether or not his death/disintegration is going to be handled in a physical or more metaphysical sense. There is that vision of him disintegrating that I think might play into it. The little boy, Bryce, Sarah's brother, is the one who takes Edward to the repairman to get mended after he gets smashed by a rather nasty person. The repairman tells Edward that Bryce gave up the opportunity to have Edward again so that he could pay for him to be mended. I really hope that there is not some sort of price that Cheon Song Yi has to pay to save Do Min Joon that keeps them apart. I want those babies! I can totally see a portion of the drama where they are apart because of some sort of price that was paid, but I hope it's not permanent, like sending back Do Min Joon back to his planet to be healed. The final stage of Edward's journey is that even though he passionately exclaims he has been loved, he has also given up on hope that he can be loved by someone again. His companion in the repairman's ship, a much-repaired, antique doll though expresses the hope that "someone will come for me." She goes on to exclaim to Edward that there is no point in going forward if we don't have hope that someone will love us. She says there's "No point at all. You must be filled with expectancy. You must be awash in hope. You must wonder who will love you, and whom you will love next." I think those are very powerful words, and are so applicable to all of us and not just Edward, Cheon Song Yi, and Do Min Joon. We have to be willing to open our hearts, no matter the potential there is for pain. If we don't we will not have the potential for great happiness, love and joy. And that I hope is the kind of ending the drama is going to give us. That Do Min Joon and Cheon Song Yi's love is going to be worthwhile and meaningful, and even if we have the common drama love of keeping the lovers apart for some reason, that in the end, they will be reconciled. Reconciled to have babies, raise puppies and have bucketloads of love and joy. See, I'm opening my heart, and being hopeful. So drama, please make sure we get a long and happy life together for these two! Pretty please! And just for kicks, here is the OST list with links to the MVs. Enjoy! I can't wait for the final episodes! Oh dewaanifordrama, lovely post. After seeing the book mentioned so many times in the drama I decided to download it. After I read it I can understand why the writer fell in love with the story and wanted to incorporate Edward's to finding and understand what love and loving someone is. Thank you for the great read, much appreciated. I'm so glad you enjoyed the post! 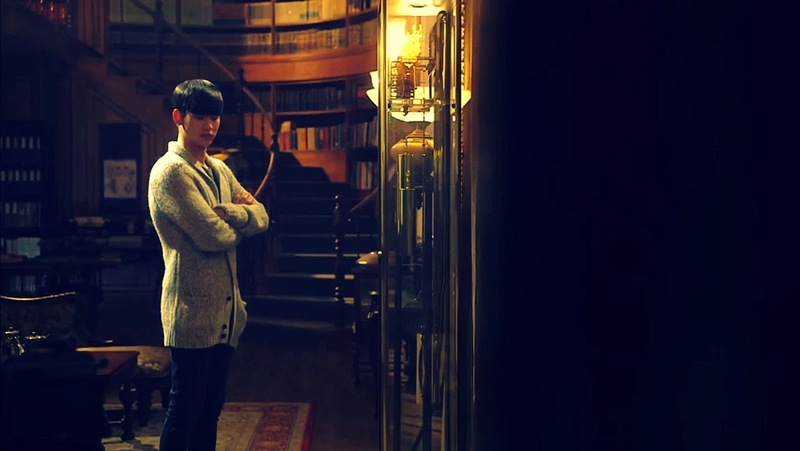 I really loved and enjoyed reading the book and then comparing it to the lovely Do Min Joon. That was an extremely thoughtful and well-written post. Good job! i became curious about the book too after watching 'you who came from the stars' so i began googling(yeah..) i'm so glad i did and got to read your post..it's lovely and well-written. love the kdrama and i think i'm gonna be reading this book too.thanks! Yay! I am glad you found the post and I am so happy that you enjoyed it. I should have a new post out about YFAS soon ^^ And the book really is a beautiful read! I hope you enjoy it.